We go a little insane with food in the Quincy area. And so do our chefs. But hey, with over 70 locally owned eateries, is it any wonder weʼve got a fix for local food? Food tells a lot about a person, or a community. Through our food, youʼll find we have passion, ingenuity, diversity & tradition. 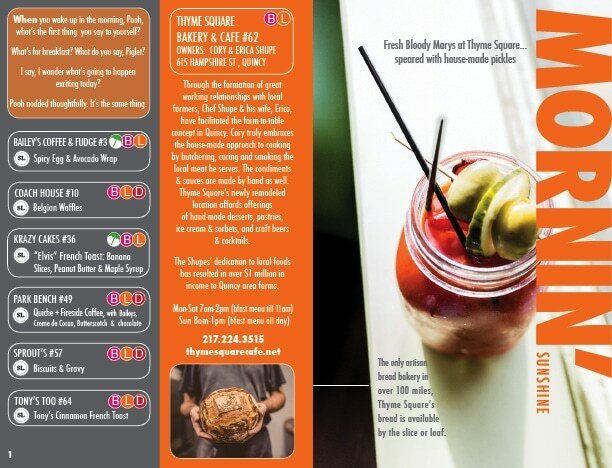 Within the pages of the guide, you’ll find the true culinary treasures of our area. The Index Key contains “Fix Times”, Al Fresco options, “Signature Licks” (the chefs’ specialty dishes), and “Group Picks”. 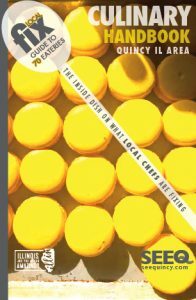 Chef Cory Shupe of Thyme Square Cafe & Bakery, created his hand-made Traditional French Macarons to adorn the cover of our guide with the art & beauty of food. Below are some sneak peeks that may serve as aperitifs, before you dig into the guide. 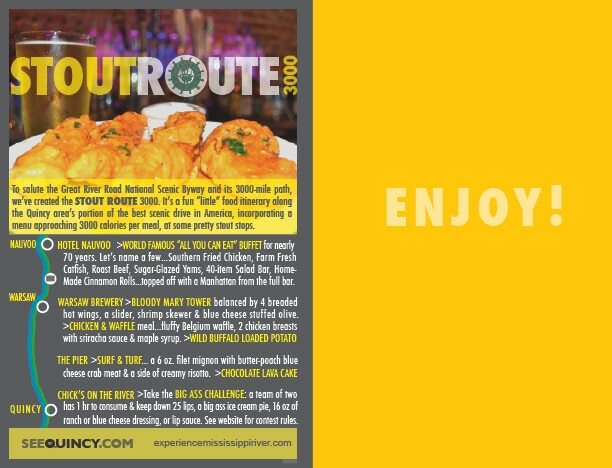 We’ve added a fun “little” food itinerary, the STOUT ROUTE 3000, as a nod to the Great River Road and its 3,000-mile path, some of which courses through the Quincy surrounds. For a quick reference, check the “Alpha Listings” in the back of the guide. 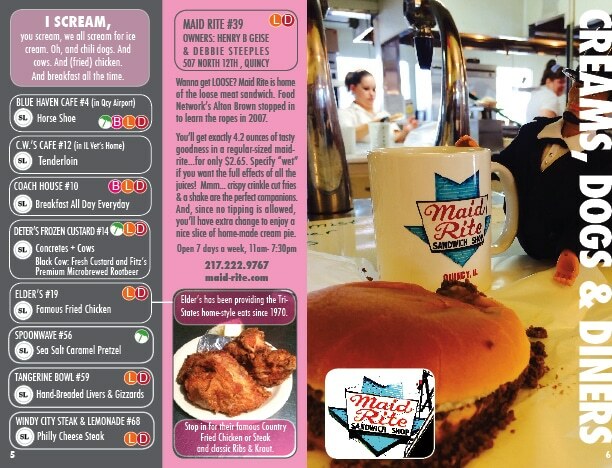 Download Here or feel free to call and we’ll be happy to mail you a copy. 800.978.4748.